Something I really struggle with is self-harming and self-destructive behaviours. There are times where I feel really upset either because something has happened or because mental illness is dragging me down and I don’t know what to do with myself. I can’t concentrate on television as a distraction. Going for a walk feels like too much because I want to hide away from the world and not feel exposed and then I end up feeling kind of stuck because I don’t know how to deal with how horrible I am feeling and I don’t know what to do with myself. This is where the self-soothe box comes in. My self-soothe box is all about the five senses which are touch, taste, smell, sound and vision. The behaviours I engage in are strong behaviours and so the self-soothe box needs to contain things that have a strong impact on my senses. It isn’t about what you like or dislike or what is deemed cool or uncool. 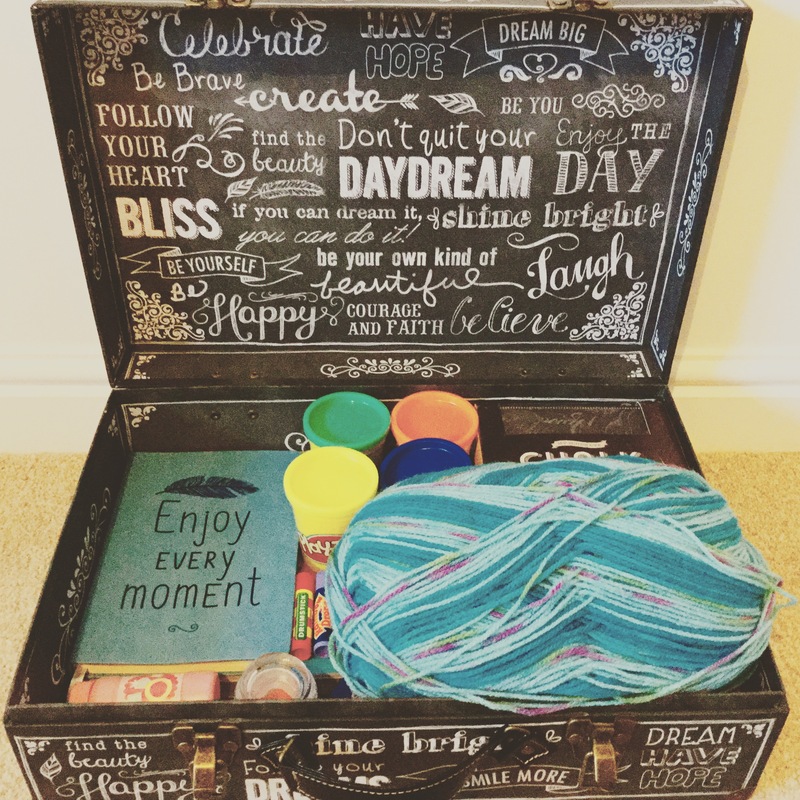 A self-soothe box is simply about what will help YOU when you are struggling. So what have I got in my self-soothe box? Taste was a difficult one to include because having an eating disorder means that I don’t find taste very self-soothing but you could include mints or chewing gum. An extreme taste is pretty good to get the senses going so minty, sour or spicy food can be helpful but self-soothe is about what soothes you and if a bar of chocolate soothes you then put it in the box. Remember this is about YOU.